Our price match guarantee policy allows you to get your storage unit at a matched price on an identical item when you present any online or local competitor's ad. When you rent a self-storage unit from us and pay 3+ months upfront, use our moving truck for free for the day. Our truck will make your move-in day go smoothly. We offer all ranges of coverage for your items. Your stored items at our facilities are important to us. Ask us for details. Check out this video of our newly opened facility off of Elk Drive in Burleson, Texas. 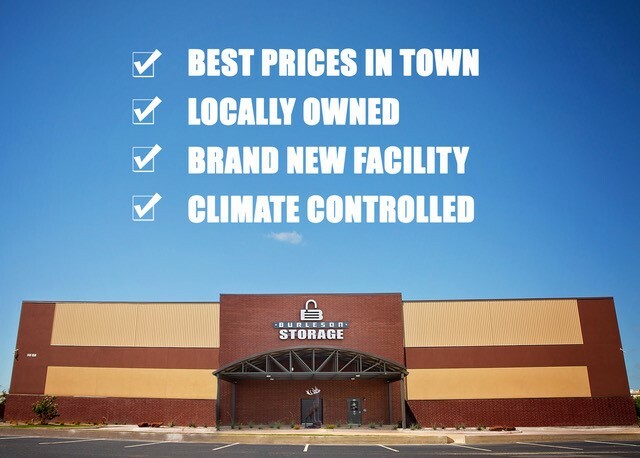 Enjoy a brand new, climate-controlled storage unit for your valued possessions. Our refreshing design, clean units, and high-tech surveillance will beat any competitors in town on price, convenience, and safety. 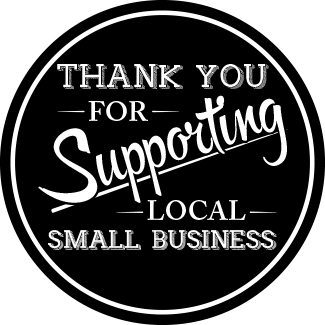 Burleson Storage is a locally owned business for all your self-storage needs. We offer short term storage for in between moving, or long-term solutions if you are looking for a more permanent home for your belongings. 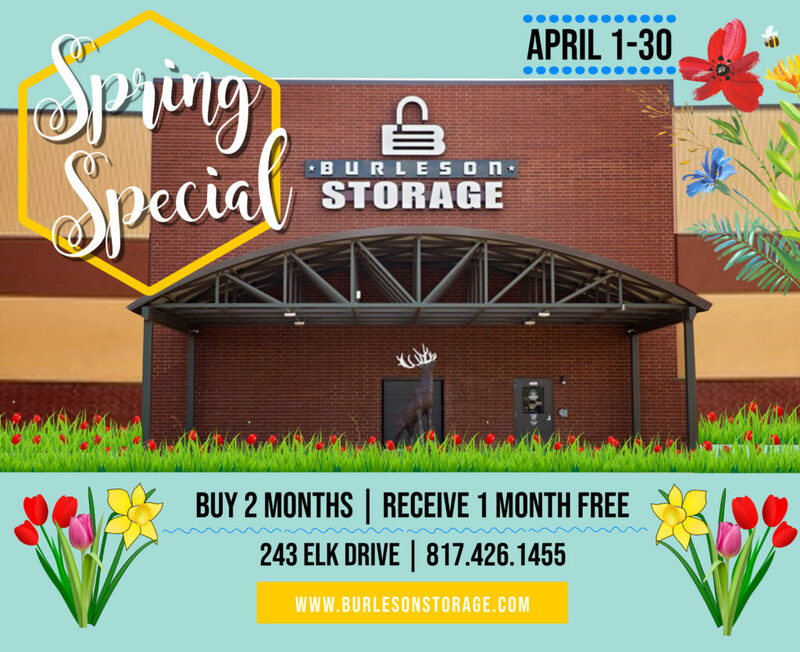 We pride ourselves on fantastic customer service and a safe, easy experience when you choose Burleson Storage. Our goal is to have affordable, clean, and safe units to provide to our local community. We offer self-storage rentals from drive-up outdoor units, to our new climate controlled facility, to our coming soon RV and boat storage.